The Treviso sofa is a luxurious, comfortable and ample sofa. 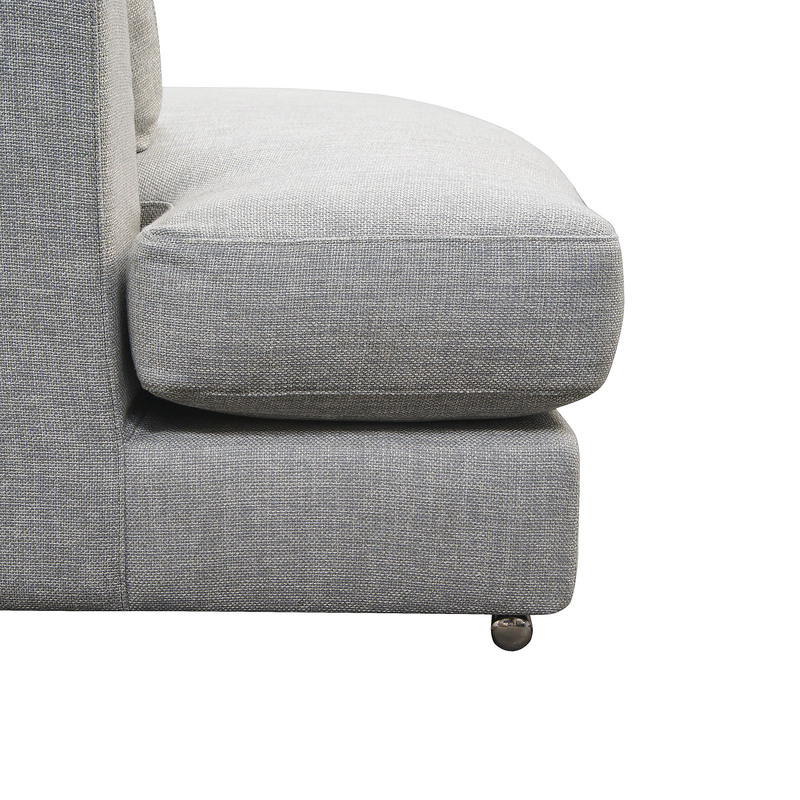 This style comes with flexibility to create different configurations. This model features clean lines, minimal seam-lines and an overall low profile for an elegant contemporary aesthetic that is extremely versatile suiting many interior design styles. Enjoy the super soft cushioning style to help you relax effortlessly. The Treviso as a sofa or modular can help define an interior space with a sophisticated, minimalsitic and high-end appeal and still exude casual comfort. A polished finish on unique slimline metal leg are the finishing touch to this elegant design. 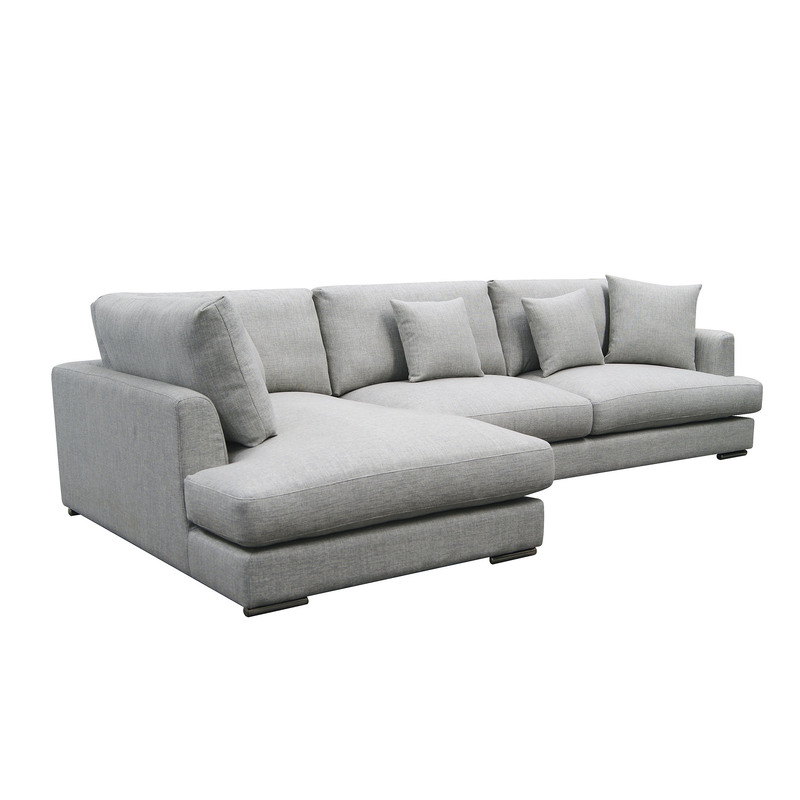 Look no further than the Treviso for the ultimate must-have contemporary sofa. The Treviso is designed in Australia, ensuring that the best aspects of Moran unique, luxury style are applied to new designs, staying relevant to local design influences and the modern Australian way of living. Bespoke manufacturing ensures each Moran piece made can achieve a luxurious level of comfort and attention to detailing, that often falls short with widely adopted mass production methods. The Treviso sofa features a kiln-dried, close-grain hardwood timber frame, providing the underlying quality framework needed for lasting structural integrity. Tempered Steel Sprung Structural Support ensures body correct support and the ultimate experience in long-lasting relaxation, while Spring Cell Seat Cushion Inserts add extra comfort and extend cushion performance, offering an additional layer of individualised support.